Getting kids to eat their vegetables can be hard, but getting enough veggies, and especially green veggies, is extremely important for fighting disease, and overall health! Dips are a great way to sneak in extra nutrients at snack time. Check out this recipe video and make a dip with your kids! You can use a food processor or blender instead, but I used the Champion Juicer for a creamier more consistent texture. 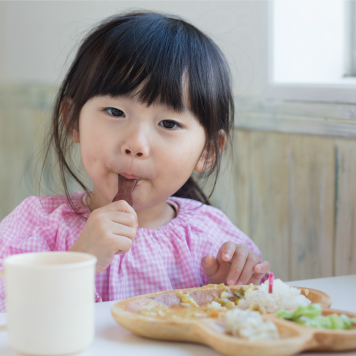 Then check out our tips below for ways to help your kids enjoy eating healthy foods! Sneaking leafy greens and herbs –two foods that are super nutritious and full of disease-fighting plant compounds– into dips is a great way to get your kids to eat their veggies without putting up a fight. Try pureeing spinach into hummus or mixing pureed kale with a little lemon juice and ricotta cheese. For an added health bonus, use crunchy colorful bell peppers or red or blue baked corn chips to scoop up your dips. To make your dips a bit more satisfying, try using protein-packed Greek yogurt or hard-boiled eggs. In addition to high protein, Greek yogurt is also low in fat and has a creamy, satisfying consistency. Additionally, Greek yogurt offers the benefit of probiotics. Probiotics are beneficial bacteria strains that keep the digestive tract happy. Greek yogurt makes a great replacement for sour cream in many recipes, such as the veggie dip provided below. Another great sweet and spicy yogurt dip recipe is to combine roasted beets, plain Greek yogurt, and horseradish in your food processor, blender, or juicer. For more Greek yogurt ideas, check out these tasty tips! Fresh herbs not only give dips their zesty flavor, but they provide a nutritious element as well. Herbs provide phytochemicals, which are beneficial compounds in plant foods that promote healthy bodily functions and help fight disease. Plus, herbs are packed with antioxidant power. For example, two tablespoons of dried basil have 2 times as much antioxidant as a cup of green grapes and 3 times as much as a cup of cooked carrots. Additionally, because herbs are packed with flavor, they can be used in place of salt and can also be used to create healthier versions of your favorite dips. Add fresh basil to pureed sun-dried tomato and white bean dip. One of the best ways to get kids excited about eating well is by reading books that talk about healthy foods. There are tons of books out there with wonderful stories that your kids will love (check out our recommended reading list). Once you read the story, plan to try and make some of the foods described in the book! One of the most famous books about food is Green Eggs and Ham, a dish that requires the addition of lots of healthy but not always loved green foods, and can make a delicious and healthy meal snack for your kids. 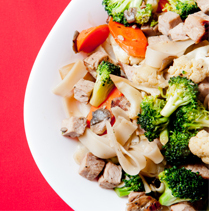 Recipes: These recipes are made with the Champion Juicer for a smooth consistent texture that homogenizes the vegetables. You can use a food processor or blender, but the Champion Juicer avoids the need to scrape out the side of the blender, start, and stop again to mix. Fit the blank screen (or use homogenizing body) onto the juicer body. Alternate kale, zucchini, fresh parsley, fresh chives, and garlic. Mix in yogurt and onion salt. Perfect as a dip for vegetables or tortilla chips. Also delicious as a sandwich spread or baked potato topping. Alternate processing eggs, spinach, relish and mustard. Mix in lemon juice and mayonnaise. In a skillet, crisp black forest ham, Canadian bacon, or regular bacon. Dice and sprinkle on top of dip. For more great Champion Juicer recipes, check out our posts on Baby Food & Soup, Sneaking Vegetables, Fruit Whip, and Nut Butter Dessert. 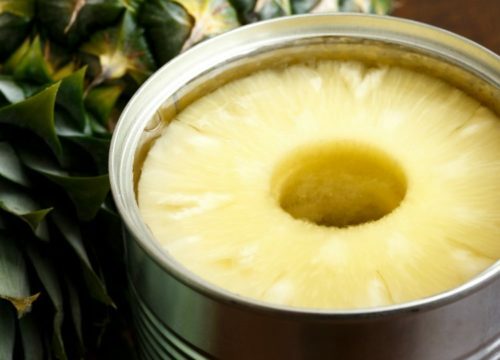 Nutrition Myths: Is Canned Food Bad for You?